Move aside millennials — baby boomers are the leading the way in what’s hot and what’s not in the 2018 Bathroom Trends Report from home furnishings marketplace Houzz, released on Wednesday. Boomers represented the largest share (52 percent) of bathroom renovators over the past year, and 56 percent of them focused on making upgrades that would make it easier to age in place. Continuing the trends seen in Houzz’s 2017 report, Baby Boomers changed their bathroom’s layout (47 percent), removed the bathtub (34 percent), and installed other features such as seated showers (62 percent), grab bars (55 percent), low curbs (40 percent) and non-slide floors (32 percent). “That said, it is also clear that there are considerable opportunities to further educate the market on accessibility, and that the demand for universal design features will continue to grow,” Sitchinava added. Beyond Baby Boomers anticipating future accessibility needs, the bathroom renovation market was also driven by homeowners who simply didn’t like their current bathroom (37 percent), who finally have the funds to make a change (30 percent), or whose bathroom was no longer functional (25 percent). Also, new homeowners bolstered market demand as they wanted to put their mark on a new home (24 percent in 2017 vs. 26 percent in 2018). 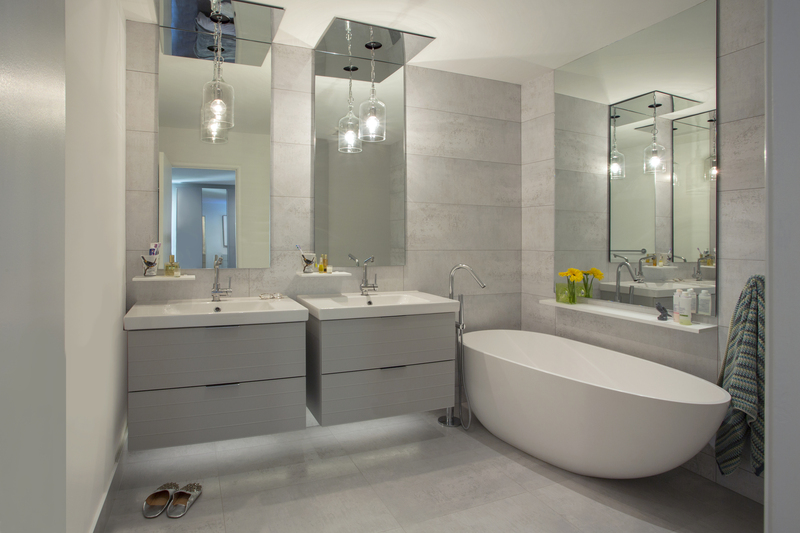 On average, homeowners spent $16,000 to remodel bathrooms exceeding 100 square feet. That cost drops to about $7,000 for homeowners with smaller bathrooms that are less than 100 square feet — much cheaper than last year’s average of anywhere from $12,300 to $21,000. Renovators put most of their dough towards new faucets (92 percent), wall finishes (89 percent), flooring (88 percent), lighting fixtures (85 percent), showers (84 percent), countertops (84 percent), sinks (83 percent), and vanities (83 percent). Windows were the least popular change (26 percent). 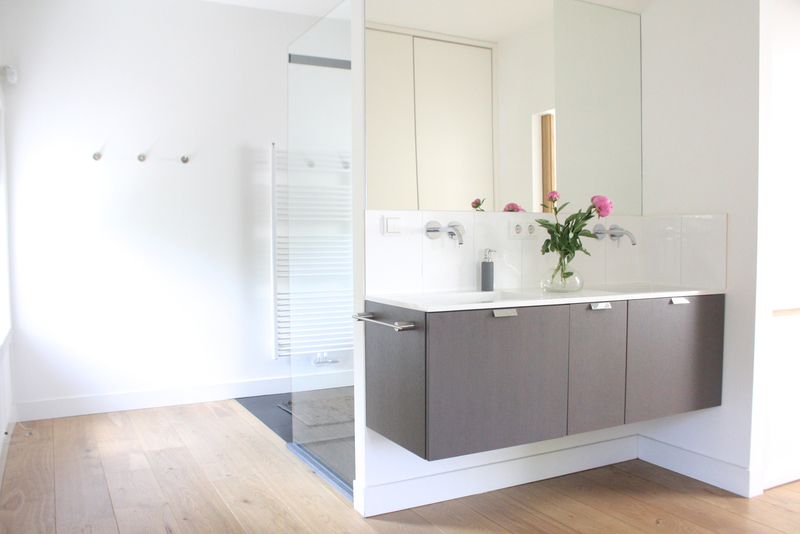 Other special features include undermounted sinks (63 percent), built-in (42 percent) or custom (55 percent) vanities, rainfall showerheads (57 percent), and high-tech toilets (28 percent). When it comes to design, gray color schemes continue to dominate homeowners’ imaginations. This cool, muted hue tends to be the top choice for walls (32 percent) and flooring (30 percent) while white is the color of choice for cabinets and vanities (35 percent). A contemporary design style led the way in 2018 (20 percent) followed by transitional (16 percent), modern (15 percent), and traditional (14 percent). But, the farmhouse style, which is defined by natural wood finishes, neutral color schemes with pops of green or blue, and simplistic prints, grew in popularity by three percentage points (4 percent in 2016 vs. 7 percent in 2018). Meanwhile, eclectic (4 percent), craftsman (3 percent) and beach (3 percent) designs fell flat. Homeowners also favored nickel (38 percent) and chrome (28 percent) hardware and loved brick tile patterns (66 percent) for their shower walls and vanity backsplashes. Houzz conducted an online quantitative survey of 1,100 registered Houzz users regarding bathroom renovation projects, fielded between June 30 and Oct. 17, 2018.